It’s a new package for the tourists who would like to experience both the Catholic culture in Korea and attractions of Seoul. This package is a new and our country’s very first Catholic tour. After Catholicism was introduced to Korea in the 18th century by Yi Seung-hun, more than 300 people were killed as the ruling Joseon Dynasty, under newly ascended King Sunjo, staged a clampdown on the Catholic Church in Korea. The freedom to practice their religion was officially granted to Korean Catholics in the 1880s, 100 years after the church was founded in the country. In that time, about 10,000 Catholics were killed in persecutions. In 1962, the Catholic Church in Korea restructured. At the start of the 21st century, there were about 4.5 million Catholics in South Korea, or roughly 9% of the population. In 1984, Pope John Paul ll visited South Korea as the Catholic Church in the country celebrated its bicentennial. It was the first time a canonization ceremony had been held outside the Vatican since the Middle Ages and gave South Korea the fourth highest number of Catholic saints in the world. In 2014, Pope Francisco also visited to attend the 6th Asian Youth day. It’s been 25 years, since Pope John Paul II visited. Join in this tour to experience both Korea’s Catholic culture and attractions of Seoul on a full-day tour, led by a well-trained tour guide. Let’s visit Jeoldusan Martyrs’ Site and Myeongdong Catholic Cathedral, which you can understand the Korea Catholic history and culture. Also, travel fascinating sites such as Insadong Antique market and Amethyst factory for buying interesting goods. N Seoul Tower is one of the best places where you can look over Seoul at a glance. On the top of the tower, if you look down the city, you might feel relieved. The last itinerary in this tour is Namsan hanok village which used to a Korea upper class’s village. Look around the Korean’s original style of upper class houses and gardens. Jeoldusan, Korea’s premier martyrs’ shrine, is the place where many Catholic believers were martyred during the persecutions of 1866. This persecution resulted in the martyrdom of nine French missionaries and precipitated two attempted invasions, by the French fleet into Joseon. After the hostilities had ceased the Joseon government began to punish Catholics whom they not only blamed for the invasion by the French but also wanted to make an example of. While there were many more, the records show that twenty nine people were executed in this place. Originally called Yanghwajin, the place became known as “beheading mountain” or “Jeoldusan”. The Catholic Church acquired the property in 1956. In 1962, a monument was erected to the martyrs. In 1967, marking the 100th anniversary of the persecution, a church and museum were built with the hope of aiding believers in understanding and deepening their faith. In 1968, marking the beatification of the twenty four martyrs, the relics of martyrs were enshrined in the basement of the church. Presently, the shrine holds the relics of twenty eight martyrs, including one unknown martyr. Myeong-dong Cathedral, situated in the heart of downtown Seoul, is both the Cathedral Church for the Archdiocese of Seoul and has become a symbol of the presence of the Catholic Church in Korea. In 1784, the first faith community in Korea gathered in this place which was then known as Myeong-Nae-Bang. In 1898, the Church was consecrated with Our Lady of the Immaculate Conception as its patron. In 1900, the relics of the martyrs who had died in the persecutions of 1839 and 1866 were moved from Yong-San seminary to the crypt in Myeong-dong Cathedral. 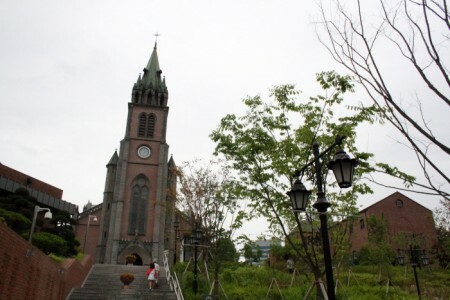 Myeong-dong Cathedral is the first brick church in Korea built in the Gothic style. Designated historic spot No. 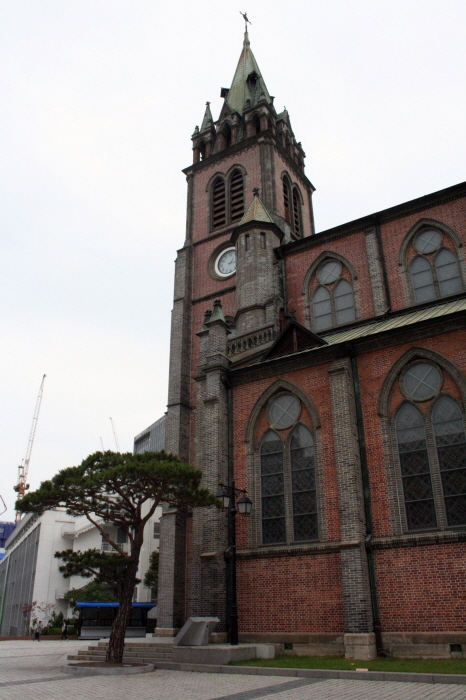 258, the Myeong-dong Church has significant historical value embedded in its architecture. The floor plan of the church is Latin cross with a center and two side aisles, and the roof of the church is 23 meters in height. The bell tower is 45 meters tall. The architecture retains the pure Gothic style without adornments. In Insa-dong, old, precious and traditional goods are on display. Within alleys on each side, there are galleries, traditional restaurants, traditional tea houses, and cafes. There are about 100 galleries in this area and you can experience many traditional Korean fine art from paintings to sculptures. The tea houses and restaurants are in harmony with the galleries. 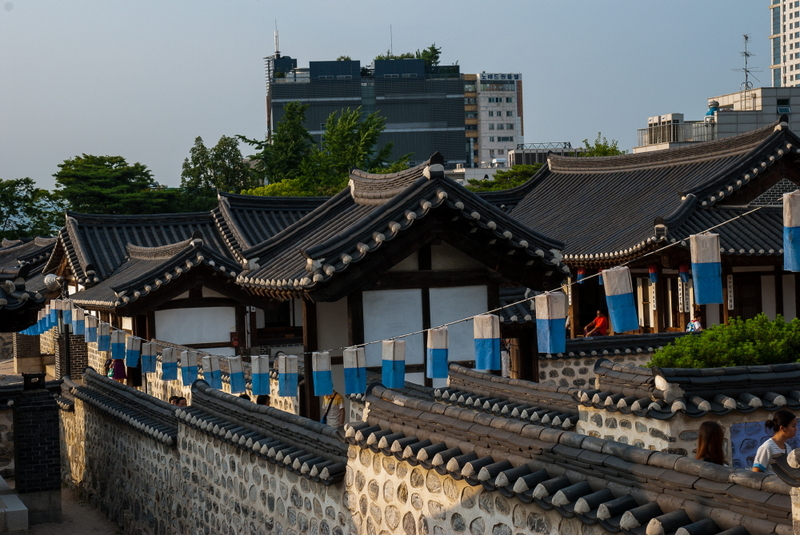 Take the time to stroll around the twisting alleyways and enjoy your free time with a cup of Korean tea. 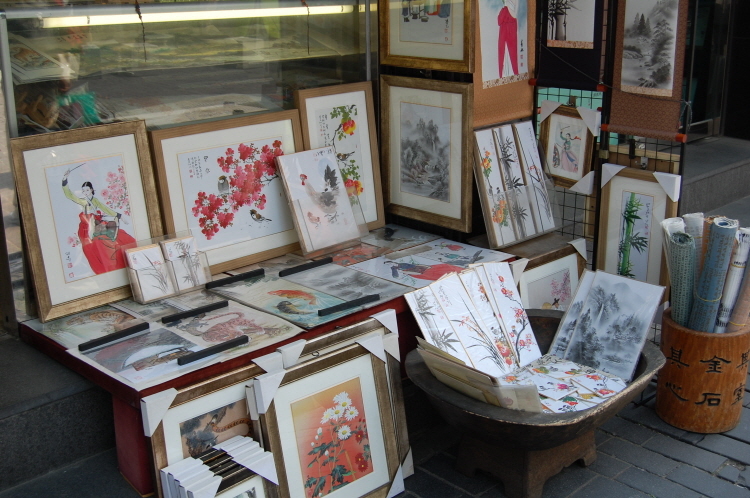 Insa-dong is a favorite stop for tourists who know that this is the place to find a perfect gift to take back home. Let’s experience and see traditional Korean culture firsthand, and also purchase pieces of fine art. N Seoul Tower is one of the best places where you can look over Seoul at a glance. On the top of the tower,if you look down the at the city nightscape, you might feel relieved. 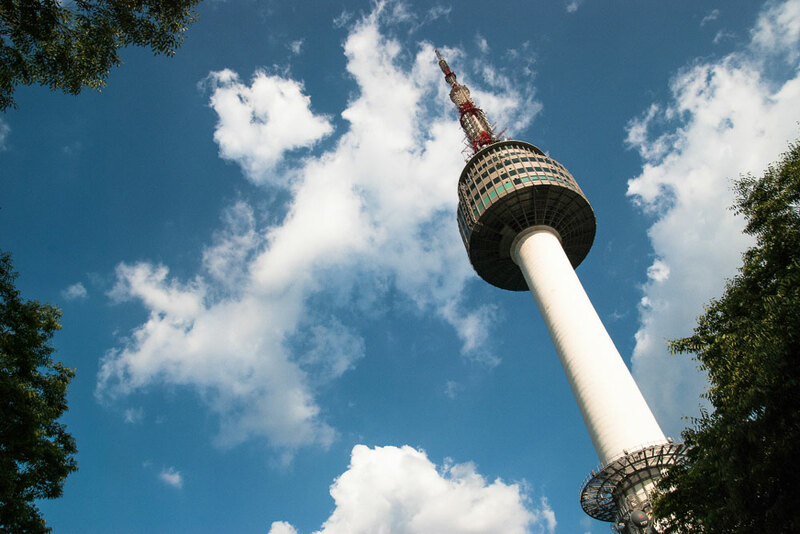 The view is so stunning that many consider Seoul Tower the best tower in Asia. In Dec 2005. With the new lighting system and changes to the tower’s overall color scheme, event coordinators can now decorate the tower for each new season or event. Currently, an ongoing lighting theme titled ‘Flower of Seoul,’ uses searchlights to light up the tower each night from 7pm to midnight. Visitors are encouraged to try the N Grill western-style restaurant revolving restaurant (one rotation every 48 minutes) and the Sky Restroom (an artfully decorated space). Both offer breathtaking views of the cityscape. Namsangol Hanok Village is a collection of five hanoks from the Joseon Dynasty. The interiors of each of these five houses reflect owners from different walks of life, from the middle class to the upper class. 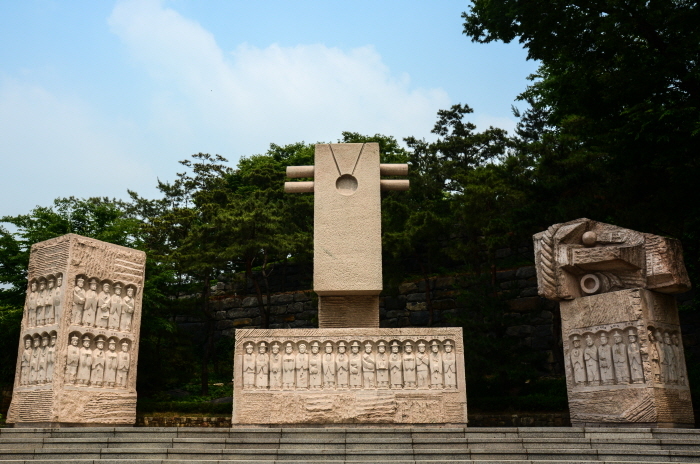 Almost all hanoks are built in the rectangular shape of the Korean letter “ㅁ” with an outdoor courtyard centered in the middle. The main areas of a hanok house include a sarangchae for greeting guests, an anchae where the lady of the house resided and a daemunganchae which is just inside the main gate of the house. – Some morning tours will be dropped off at Itaewon or city hall.